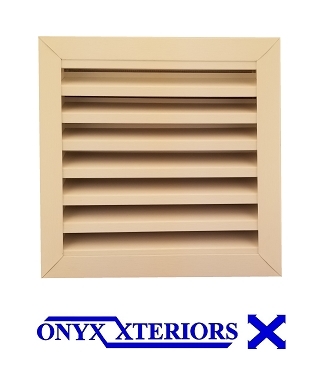 Shop 16 x 16 square attic vents with front nail flange in the square slatted vent department of Onyx Xteriors. 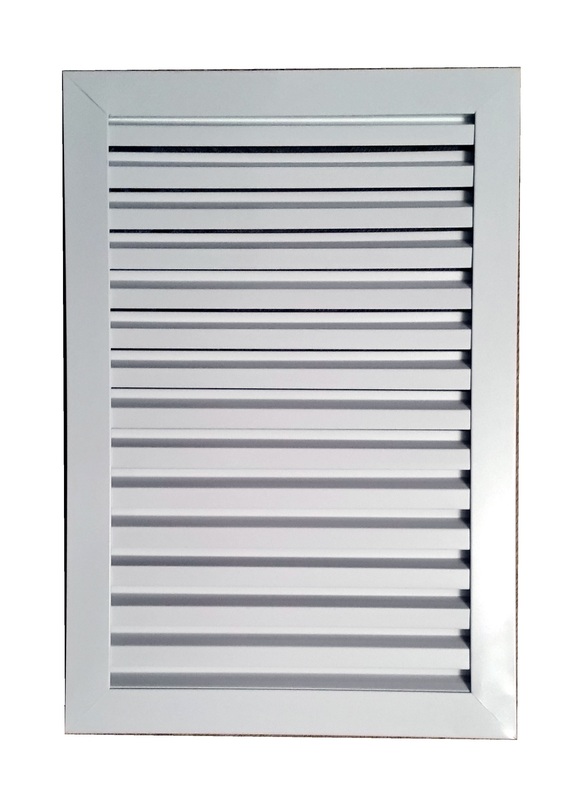 These aluminum 16 x 16 square slatted vents are designed to last a lifetime. 16 x 16 Square gable vent designed to be as sleek looking as it is durable. This square louver vent can be ordered by height and width and the depth of the vent will be 1 inch or 3.3 or 5.5, choice. The front flange of the square attic vent will stop the vent flush with the slatted wall exterior. Order the opening size for your slatted vent. All louver vents are manufactured 1/2 inch smaller than the measures ordered. This allows for an easy fit to the opening size. 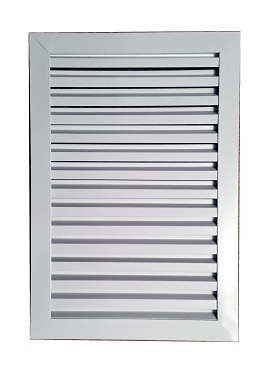 100% aluminum gable vents manufactured to ensure a stronger life long lasting slatted vent. 1 1/2 inch nail flange on the front of the louvered vent for a standard vent install. Need a specific size square gable vent? Need a cheaper louvered vent? Check out the contractor grade attic vents. Fed Ex has the best safety record of all carriers we have tried and tested for getting your gable vent to you safely. And at a lesser cost than most all other delivery companies.